After my mother’s diabetes diagnosis, I strove to make recipes that fit into hers eating plan delicious enough for the whole family to eat. Who knew that it would turn into a career? The popular Italian poet Gabriele D’Annunzio once described the view of the sea from Reggio Calabria as “the most beautiful kilometer in Italy.” Known as the ancestral homeland to 20% of the Italian-American population, the southern Italian region was once home to powerful Greek and Byzantine colonies like the city of Crotone, where Pythagoras once formed a secret society of intellectuals. 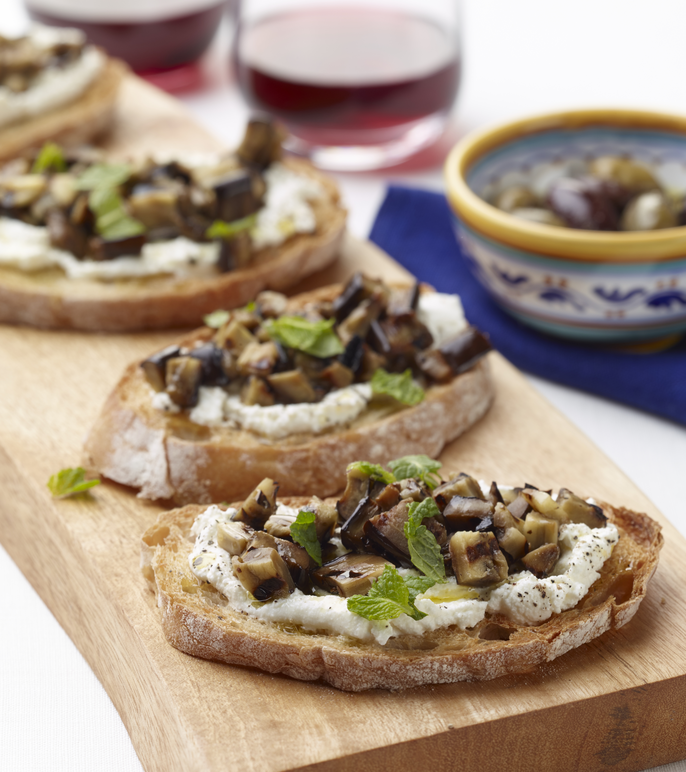 This recipe is popular in Calabria because it incorporates eggplant and ricotta—two widely celebrated ingredients—on their beloved country-style bread. 1. Preheat broiler to high or grill to medium-high. 2. 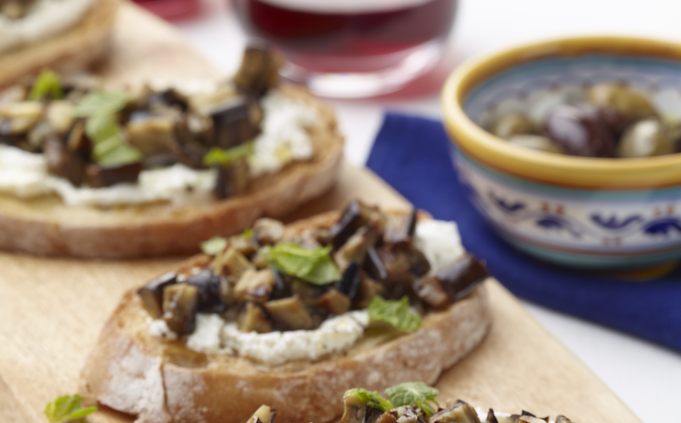 Lightly brush the eggplant slices with 1 tablespoon olive oil and set on a baking sheet. When the grill is ready, use tongs to place slices directly on the grill and cook each side until grill marks appear and slices are nicely browned, 3–4 minutes per side. Or, if broiling, place baking sheet directly under broiler, and broil each side until golden, 1–2 minutes per side. 3. Remove baking sheet from oven or, if grilling, use tongs to transfer eggplant back to the baking sheet, and sprinkle with about half the salt. When slices are cool enough to handle, cut into 1/4-inch cubes, place in a bowl, and set aside. 4. When ready to serve (do not prepare these ahead of time or the bread will get soggy), grill the bread slices on both sides until grill marks appear, or place under the broiler until golden brown. Slather each piece evenly with 2 tablespoons ricotta. Sprinkle with remaining salt and the pepper. Top with the chopped eggplant. Drizzle with remaining 1 tablespoon olive oil and garnish with mint. Serve immediately. Production of this type of oil can be traced to the Byzantine period, when Basilian monks settled in the region and improved olive cultivation. Made using at least 70% Carolea olives, this is a lighter Calabrian oil, suited for drizzling over fish or seasoning greens. The olives used to make this oil were introduced to the region by the ancient Greeks. Bruzio’s Protected Designation of Origin (Denominazione di origine protetta in Italian) is limited to the province of Cosenza. This oil has a light green color with hints of yellow. Olive production in Lamezia is limited for quality, and the harvesting season is heavily regulated. Olive oil from Lamezia is made from at least 90% Carolea olives, and the acidity of the oil is restricted to 0.5%, giving it a smooth, full flavor. 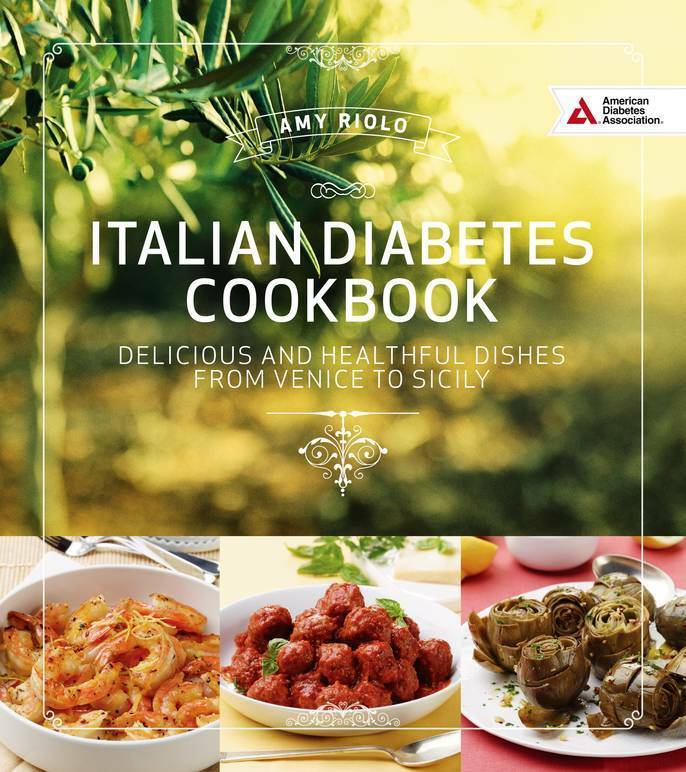 To Order the copy of Italian Diabetes Cookbook click here! 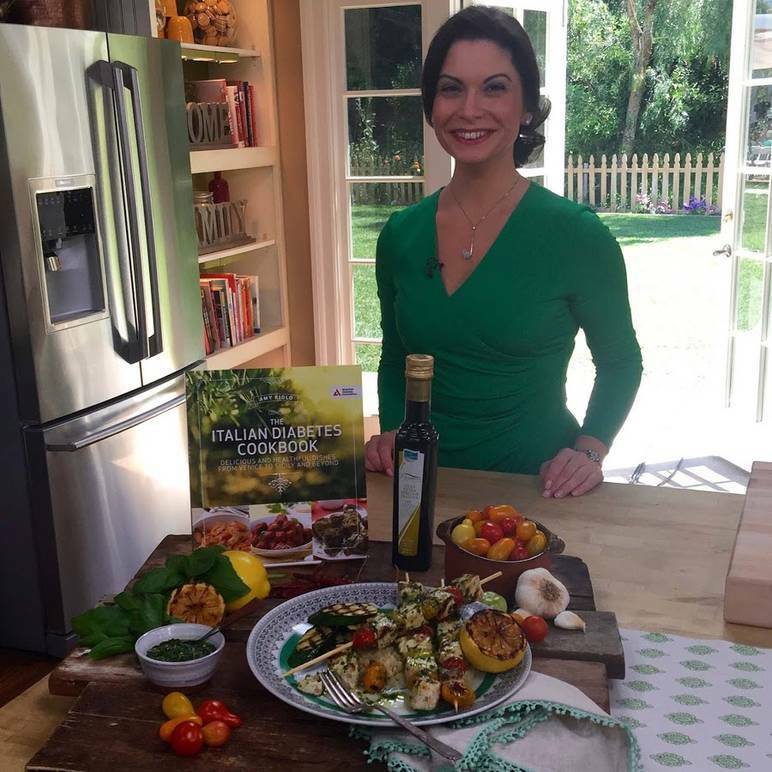 Visit the website of Award-winning, Best-Selling Author, Chef, Television Personality, Amy Riolo.